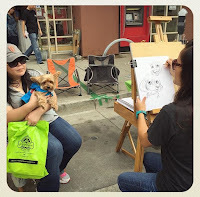 Art of Erika L. Chan: Pawtrero Dog Day Afternoon 2015 Raises $8K for Rescues! 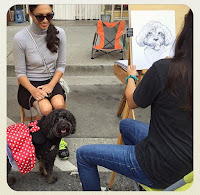 Pawtrero Dog Day Afternoon 2015 Raises $8K for Rescues! THANK YOU to all of you who came early, waited patiently, and returned again this year for a caricature of your dog! This year's Pawtrero Dog Day Afternoon brought in $8,000 for 14 Bay Area Rescues! It was so much fun seeing all the new and familiar faces!